OurÂ MOQÂ is normallyÂ 80pcs, which is adjustable in special case. 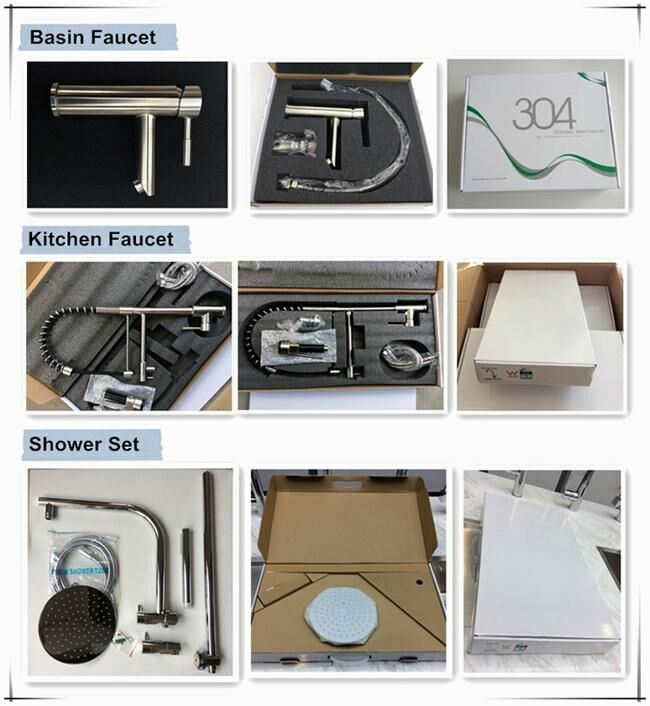 NormallyÂ weÂ canÂ manufacture 5000pcsÂ faucetsÂ orÂ 3000pcsÂ showerÂ setsÂ perÂ month. Q5:Can I visit your showroom/factory? Yes,our factory is in KaiPing.Also we have the showroom in Guangzhou,which displaysÂ a full set of latest series items and only takesÂ 1Â hour from airport. Q6:What certificates do you have? 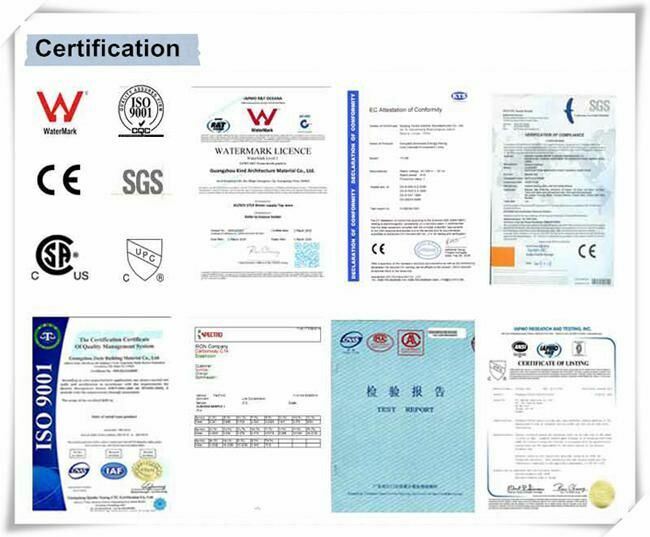 Almost all of our products are with WATERMARK certificate. For some models, the certificates are already available. For other models, we will need your assistance to apply the certificates. Q7: Â How long the warranty you can offer? We can provide 7 years warranty for our products. We have a document specified warranty clauses, please feel free to send inquiry for more details. Q8:Â CanÂ weÂ printÂ ourÂ logoÂ onÂ theÂ productÂ or produce the customized items according to our drawings? 1.We are the professional sanitary ware factory has 14 years experienced and purchasing recommendation for customers. 2.The warranty is 7 years and perfect after-sale service system. 3.Watersino has strict quality control. The faulty products, if found, will be sent back to remade immediately. 4.We has supplied numerous projects that cover over 100 cities,has supplied numerous projects. 5.Components Watersino using for the faucets are under top level worldwide. âˆšÂ No.1 cartridge brand in the world -- Kerox &Sedal. âˆšÂ No.1 water saving aerator -- Neoperl. âˆšÂ No.1 Household name flexible hoses -- Tucai. âˆšÂ Lead free brass material comes from the top brand factory named Weiqiang. âˆšÂ Stainless steel material comes from the top level company in Korea, Pohang is under the AISI Â Â Â Â standard. 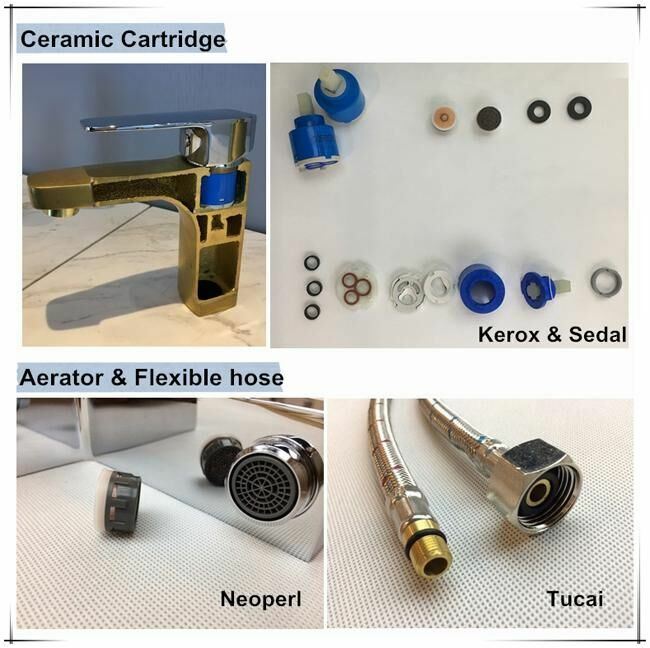 TheÂ aeratorÂ isÂ formÂ Neoperl,Â theÂ bestÂ aeratorÂ brandÂ inÂ theÂ world.Â AndÂ theÂ flexibleÂ hoseÂ isÂ fromÂ Tucai,Â theÂ topÂ waterÂ inletÂ hose brand inÂ theÂ world.Â AllÂ accessoriesÂ areÂ underÂ topÂ leve. The good quality surface finish make the products look amazing. We use the advanced electroplating technology to make sure the products corrosion resisting, durable and stunning. A lot of different kinds of finishes can be manufactured by our factory, and the customized finish can be manufactured, more options for your modern bathroom or project. Â Please feel free to contact us or visit us if you have any question or need more details! Â Thank you!